1. 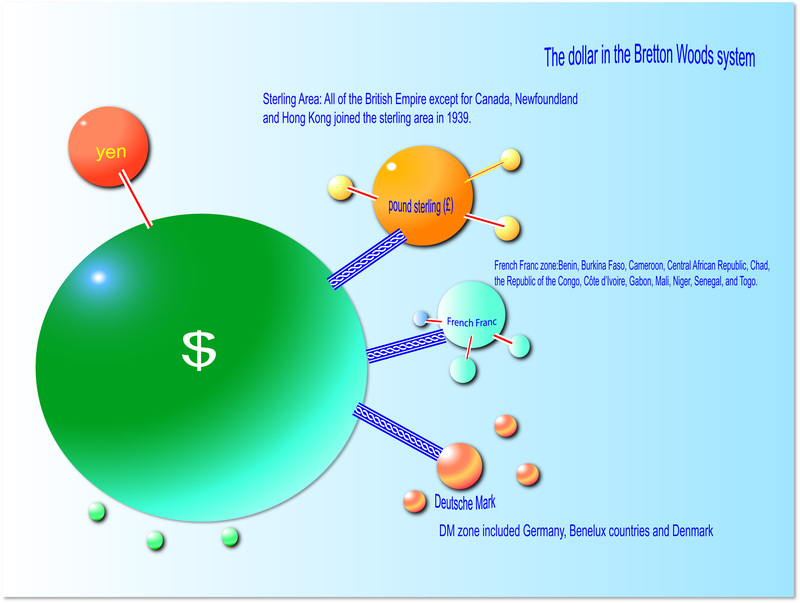 What is the Bretton Woods system? A brief World War II Timeline Adolf Hitler demanded that Gdansk be given to Germany, claiming that Gdansk residents were predominantly German. Backed by France and Britain, Poland refused. With this excuse, Germany invaded Poland on September 1, 1939. (i) ITO (still-born), replaced by GATT and WTO. (iii) IMF, immediately after the Normandy invasion in June 1944. For 25 years after WWII, the international monetary system known as the Bretton Woods system, was based on stable and adjustable exchange rates. Exchange rates were not permanently fixed, but occasional devaluations of individual currencies were allowed to correct fundamental disequilibria in the balance of payments (BP). Ever-increasing attack on the dollar in the 1960s culminated in the collapse of the Bretton Woods system in 1971, and it was reluctantly replaced with a regime of floating exchange rates. By signing the agreement, nations were submitting their exchange rates to international disciplines. This amounted to a significant surrender of national sovereignty to an international organization. Territorial waters = 12 nautical miles. US navy ships patrolled near Spratly archipelago on international waters (outside 12 nm). Deflationary policy: Under the gold exchange standard, a country has to resort to the classical medicine of deflating the domestic economy when faced with chronic BP deficits. Before World War II, European nations often used this policy, in particular the Great Britain. Even though few currencies were convertible into gold, policy makers thought that currencies should be backed by gold and willingly adopted deflationary policies after WWI. Deflationary policy is not the only option when faced with BP deficits. Devaluation is accepted in Bretton Woods. The adjustable peg was viewed as a vast improvement over the gold exchange standard with fixed parity. Currencies were convertible into gold, but unlike the gold exchange standard, countries had the ability to change par values of their currencies . For this reason, Keynes described the Bretton Woods system as "the exact opposite of the gold standard." The world economy tripled in size during the two decades, but gold supply did not change much. Structural problems: (i) Over time the world economy grew and needed more liquidity or reserve assets. ⇒ Marshall Plan Aid. (iii) As the world economy grew, the increased world demand for dollar as reserve assets meant that US had to incur increasing trade deficits. The dollar was the numéraire of the system, i.e., it was the standard to which every other currency was pegged. Accordingly, the U.S. did not have the power to set the exchange rate between the dollar and any other currency. International Monetary Fund and World Bank meeting was held in July 1944 in Bretton Woods, New Hampshire, one month after the invasion of Normandy. The political complement of this meeting to establish United Nations was held in San Francisco and the charter was signed in June 1945 (after Germany's surrender). UN came into existence in October 1945. The Articles of Agreement was signed in December 1945. The next year, the By-laws were adopted at a meeting in Savanna, Georgia (March 8-18, 1946). IMF was established to provide member countries with the necessary funds to cover short term balance of payments problems. The Fund in turn received resources from members who were allotted quotas. (Total Quota = 238 billion SDR as of 2010, doubled, reaching 476 billion SDR in 2011). Upon entering the Fund, a country submitted a par value of its currency expressed in terms of gold or in terms of the US dollar using the weight of gold in effect on July 1, 1944 ($35 per troy oz). 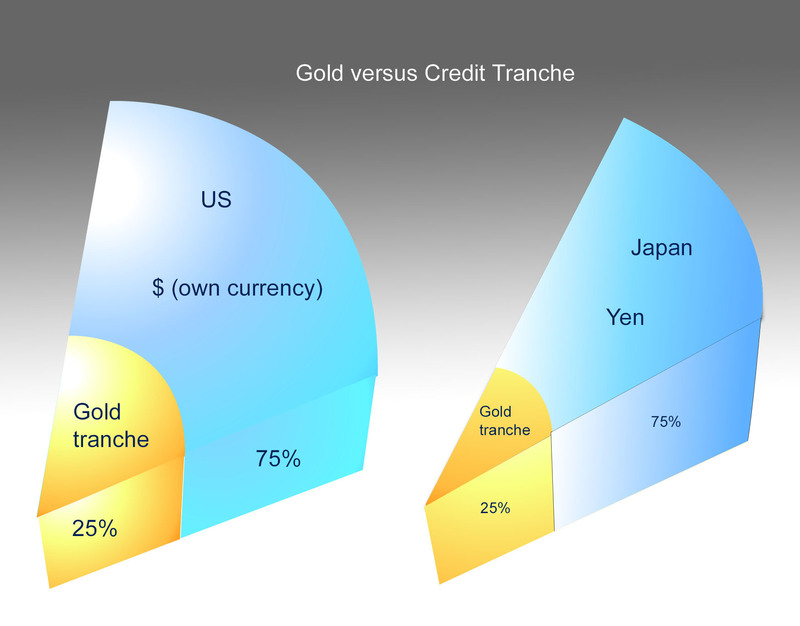 All exchange transactions between member countries were to be effected at a rate that fluctuated within 1% band (which approximates gold import/export points) around the par values of the respective currencies. Article IV: A member could change the par value of its currency only to correct a fundamental disequilibrium in its balance of payments, and only after consulting with the Fund. In case the Fund objects a change, but the member devalues its currency, then that member is ineligible to use Fund's resources. The Fund cannot formally propose a change of the par value of a currency. No objection to a change if the cumulative change is less than 10% of the par value. Article VI Article VI: allows members to control capital movements. Article VII: scarce currency Article VII: The Fund may declare a currency to be scarce. If so, member countries are authorized to impose exchange control over the scarce currency. Britain adopted deflationary policy in the 1920s, but the surplus countries (US + France) did not participate in the adjustment process. Article VIII Article VIII forbids restrictions on current account balances. Members are obligated to maintain the convertibility of foreign held current account balances (to facilitate trade). Article XIV Article XIV allows a member country to retain exchange control restrictions in effect when that country entered the Fund. Once a member country abolishes its exchange control over the current payments and accepted the obligations of Article VIII, then it cannot reimpose exchange control without the approval of the Fund. Remark: Most major countries in Europe accepted the obligations of Article VIII by 1961. Japan came under this article in 1964. The remaining Article XIV countries are obligated to consult annually with the Fund on exchange controls, but the Fund has no power to abolish the exchange control unilaterally. No scarce currency declaration has been made. Most nations outside the Communist bloc became members of the IMF. But the total international reserve increased only by 3% during the same period. So an acute shortage of international reserve assets developed. 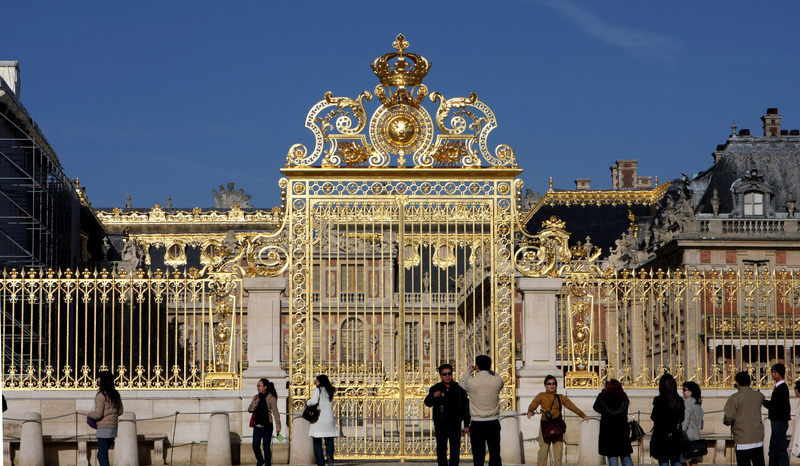 The US had acquired the bulk of the world's gold. In 1946, the US held $26 billion worth of gold (740 million ounces, world total = 800 million oz) when the estimated world total was $33 billion. Today, Treasury owned gold is 260 million ounces (mostly in Fort Knox, Denver, and West Point and a little bit in FRB NY). If the U.S. had exported Treasury bills, it would have provided additional reserves for the US. However, nations became increasingly reluctant to hold $. Gradually, the US stock of gold was depleted. The Fund was the source of financing for a member country experiencing a temporary disequilibrium in its balance of payments. These resources come from gold and currency subscriptions of its members. Upon entering the Fund, each country was allotted a quota in accordance with its relative economic size. Reserve (gold) tranche: 25% of quota was paid to the Fund in gold (1944 US dollar). Today, this must be paid in SDR or major currencies ($, £, € and yen). Credit tranche: 75% of quota was paid in the currency's own currency. In 1946, the Fund started with aggregate quotas of $8 billion, 20% of world reserves. (Today, this amount is worth roughly $100 billion) The quota was raised in 1971. The largest quota was US: $6.7 billion (21.9%): U.K. $2.8 billion (9.2%), Germany, France 5%, Japan 4%. The quota was increased several times. In 1990 the quota was increased to $135 billion, still equal to about 20% of world reserves. In 2011, quota increased to SDR 477 billion (about $677 billion). There have been no increases thereafter. Total: 2.5 million votes (and growing). Borrowing The size of a country's quota determines the borrowing limit of that country. (iii) Standby Agreements: Short term borrowing member countries negotiate to receive the Fund's guarantee. usually borrowing is for 3-5 years. (iv) General Agreements to Borrow (GAB): was negotiated in 1962 by the Group of Ten: France, Italy, Germany, Belgium, Netherlands, Sweden, Japan, UK, US, Canada. Switzerland joined in 1964. The fund could borrow up to $5.9 billion from the Group of Ten to provide more short term assistance. (v) Currency Swap Arrangements : made in 1962. bilateral arrangements between central banks. Purpose: to avoid exchange control. At maturity, both parties re-exchange the original amounts. The total quota is small, not sufficient to deal with the European crisis. In 2008, Japan lent $100 billion to the IMF. US also extended $100 billion line of credit. (i) avoid exchange rate risk: (a) Exchange rates between two currencies can be volatile, dramatically changing the prices of the goods. (b) Traders are reluctant to use the currencies of small countries. Vladimir Putin: "US is a parasite on the world economy." (Reuters, Aug 1, 2011). Russia-China currency swap has been ineffective due to low demand for Ruble. US did not coerce any country to hold USD. USD has been simply more reliable, and trading countries was willing to hold USD. As the demand for the reserve currency increases, and USD appreciates. ⇒ US trade deficit increases. In a certain sense, SDR allocations were like the credit limits on a person's credit card or line of credit. SDRs can be used to make payments to settle debts between central banks. In addition, each member country agreed to accept three times its own SDR quota from other central banks. value of SDR Originally, the value of an SDR was set at one US dollar, both having the same weight in gold in 1970. However, dollar was devalued a couple of times, and there was a general move to end the key role of $ in the international monetary system. After July 1, 1974, the value of SDR was determined in terms of "basket" of 16 main currencies. Weights: USD = 33%, mark = 12.5%, pound = 9%, FF = 7.5%, yen = 7.5%, CND = 6%, lira = 6%. From April 1980, only 5 major currencies. $ = 42%, DM = 19%, yen = 13%, FF = 13%, pound = 13% The value of SDR is calculated daily by IMF. From October 1, 2016, five currencies are included: USD, €, Renminbi, yen, £ (GBP). Renminbi is not "freely convertible" in international transactions. SDRs are merely bookkeeping entries. It becomes a reserve asset because of the commitment of participating countries to accept SDRs up to an amount equal to 3 times their own SDR allocations. creation of SDR A decision to create SDRs require the approval of a majority of member countries holding 85% of the weighted voting power of the Fund. Once created, SDRs are distributed to participants in proportion to Fund quotas. As of 2009, the total allocation reached SDR 204 billion. between central banks Unlike dollar and other currencies, SDRs are not usable for private international transactions. SDRs represent a net addition to international reserve that are as useful as gold or dollars, unlike international borrowing (which does not change reserves). Since it costs nothing to create SDRs, the world saves resources that would otherwise be wasted to mine and refine gold. For this reasons, SDRs are sometimes called paper gold. However, they should be called "e-Gold" (electronic gold) since no paper notes are issued. SDR plays a limited role as an international reserve asset due to its small quantity relative to the daily transactions volume (about $5 trillion dollars) in the foreign exchange market. Its main function is the unit of account of transactions of international organizations and central banks. SDR is not tied to any single currency., and hence there is no need for the US to have large trade deficits in order to provide more reserves to the ROW. SDRs can be created as needed to insure stable growth of international reserves. If SDRs replace $ as reserve assets in central banks, the US does not have to be a world banker. SDR makes the IMF an international central bank. interest rate Once every year, the IMF charges every country interest on allotment, and credits every country with interest on the average SDR holdings during the past year. The interest rate was 1.5% per year originally, but raised to 5% in 1975. Now it is calculated weekly based on a weighted average of short term interest rates in the basket currencies (Euro, Yen, Pound Sterling, USD). 1 SDR is about $1.5 in April 2014. Problems Developing countries are reluctant to use SDR. The international monetary system evolved in a way that was not foreseen in the Articles of Agreement of IMF. 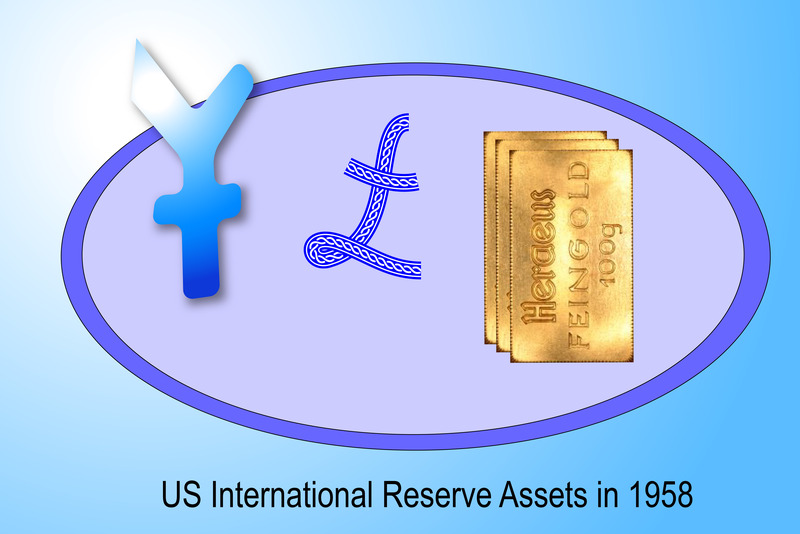 During the 1950s the USD increasingly took over the function of gold as the major international reserve asset. Why hold dollar, not gold? No one planned this development. The US was the dominant world power. (US share of output: 50% in 1950, 40% in 1960, declining to 25% today.) Well over half of all international money transactions were financed in terms of dollar. The US also owned about two thirds of the official gold reserve in the world in 1940. The dollar became the dominant invoice currency. (The US profits as the banker.) Most exporters invoiced the importers in dollars. When the European countries had reserve surpluses in the 1950s and early 1960s, they converted the surpluses into dollar reserves rather than gold because. (ii) dollar reserves can always be converted into gold at $35 per ounce whenever it became necessary. All of the non-Communist countries maintained a stable relationship between their currencies and the dollar either directly or indirectly through the British pound. The US dollar was at the center of this system. 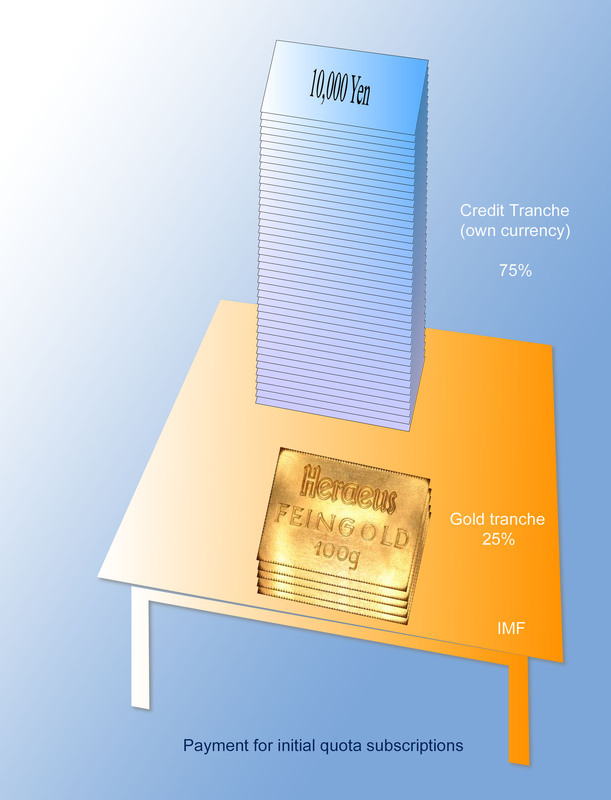 Since the Great Britain had halted the gold convertibility of its currency, US dollar was the only currency directly convertible into gold for official purposes. Before WWI, the pound sterling performed a similar function, but the sterling area had shrunken to a small number of countries. As the Bretton Woods system evolved, the reserves of most countries became a mixture of gold and dollars. Over time, US dollar became increasingly more important. dollar as principal reserve asset The US balance of payments was more important than those of other countries, because other countries were holding US dollar as the principal reserve asset. Moreover, the US was unable to eliminate ever-increasing trade deficits, which undermined the Bretton Woods system. A permanent but painful solution. As the price of the foreign currency (e) rises, net exports = X(e) - M(e) declines, which reduces trade deficit. A permanent and effective solution (under fixed exchange rates). (3) impose exchange control on current account An exchange control limits imports. A temporary stopgap solution. Since the stock of gold is limited, it will soon run out. (5) increase liabilities to foreign central banks. (6)The surplus country (e.g., China) holds more dollar assets. This means the US is unwilling to devalue $, or the surplus country (e.g., China) is unwilling to let RMB appreciate. A temporary solution, and eventually the latter country gives up. Persistent US BP deficits in the 60s In the 1960s the international monetary system was shaken by a series of disturbances in the foreign exchange and gold markets. Since the US dollar was used as the principal reserve asset by our trading partners, the weakness of dollar raised doubts about the viability of the entire system. (a) a higher rate of return r* > r, which results in capital outflows. (b) military commitments in Europe and Asia. (c) The Vietnam war also caused inflation in the US. During the years 1958-1971, the US experienced a cumulative reserve deficit of $56 billion. International reserve in other countries mainly consisted of US dollar and gold, although the currencies of other major countries were reserve assets but they played a minor role. US reserve assets included foreign currencies such as Yen, DM and British pound at first. 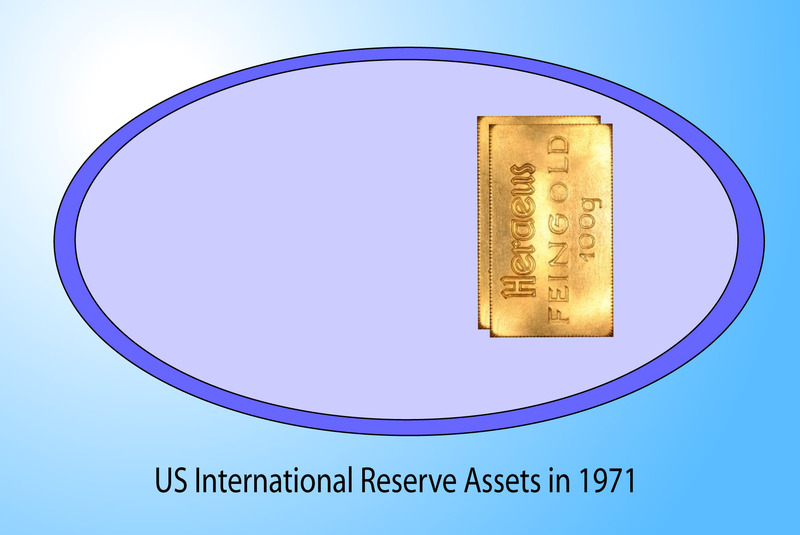 However, by the end of the 1960s, the US international reserve consisted mainly of gold. Some of the fundamentals are wrong (p, w, r, Y, e). The first best policy is a devaluation of USD. All other policies such as lowering interest rates are second best. Increasing liabilities to foreign central banks During this period (from 1958 to 1971), the US not only witnessed a gradual depletion of its international reserve assets but also a dramatic increase in liabilities to foreign central banks. 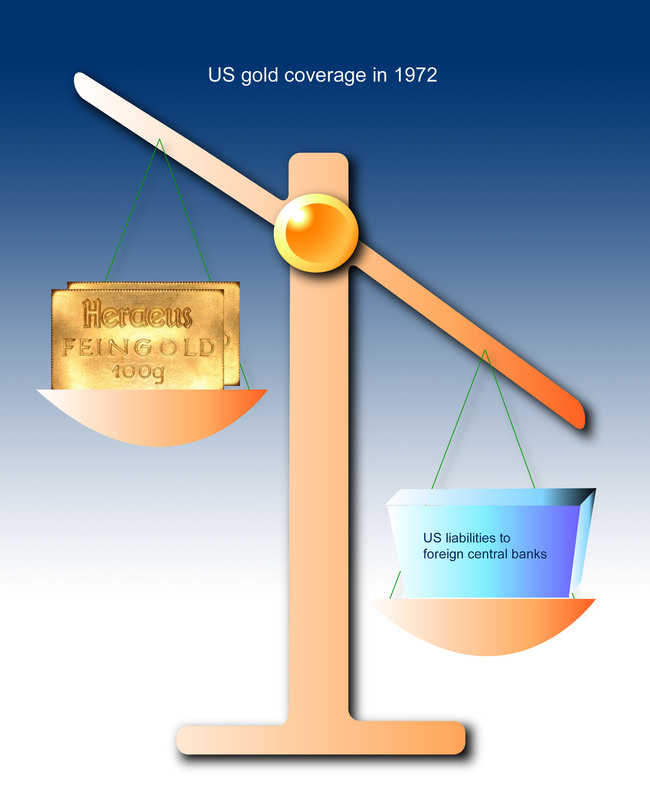 By 1963, the US gold reserve at FRB New York (Manhattan) barely covered liabilities to foreign central banks, and by 1970 the gold coverage had fallen to 55%, by 1971 22%. Thus, from 1963, had the foreign central banks tried to convert their dollar reserves into gold, the US would have been forced to abandon dollar's gold convertibility. To lesson the outflow of private capital, the US imposed an interest equalization tax in 1963. This was effective to curb temporarily the outflow of portfolio investment. However, because r* > r, it was more than offset by a big jump in US bank loans to foreign borrowers and a further growth in US direct investment. (a) Voluntary Foreign Credit Restraint program was adopted in 1965 (Canada and developing countries were exempted). This was replaced by Mandatory Investment Controls in 1968, lifted in 1975. (b)Federal Reserve System entered into a series of currency swap agreements with central banks of Western Europe, Canada, and Japan. Under these bilateral agreements, a foreign central bank provided standby credit (in foreign currency) to the Federal Reserve System in return for an equal amount of standby credit (in dollar). None of these measures reduced US basic deficit but lessened the gold drain and dampened the speculative capital outflows. President Nixon once raised the value of dollar, to penalize the speculators. (It did not work). The crisis of 1971 was caused by a gradual loss of confidence in dollar. In 1970, funds began to move at an enormous rate from the US dollar to financial centers in Europe and Japan. 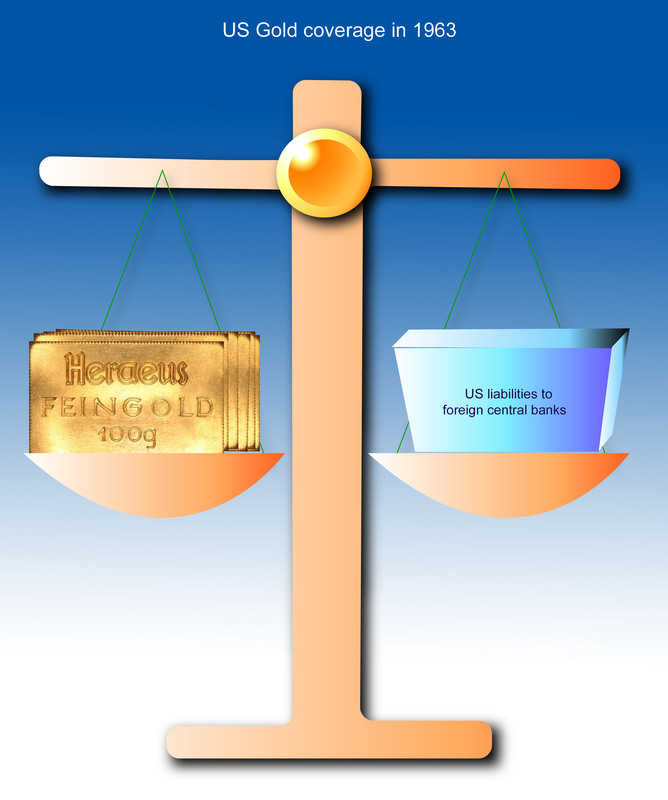 (iii) suspension of dollar's convertibility into gold. International monetary negotiations were undertaken within the framework of the Group of Ten. Details were worked out by the Group of Ten in a meeting at the Smithsonian Institution in Washington DC in December 1971. The agreement was then formalized by the IMF. temporary regime It was a temporary regime. The agreement allowed member countries to vary their exchange rates within margins of 2 ¼% on either side of the central rates after currency realignment. currency realignment Currency realignment: Yen appreciated 17%, Mark 13.5 %, pound 9%, FF 9%. Par value of other minor currencies were also changed. In return for the revaluation of other currencies, the U.S. agreed to raise the price of gold from $35 to $38 an ounce. This was equivalent to a dollar devaluation of 8.57%. This devaluation of dollar has no significance because the dollar remains inconvertible. 10% import surcharge was suppressed. The collapse of the Bretton Woods system did not generate a chaos as did the collapse of the international gold standard in the 1930s. Significance The Smithsonian Agreement was a useless attempt to perpetuate the adjustable peg system with a new currency alignment. End Par Value Modification Act, 1973 (amended) (copy) With the second devaluation of the dollar in March 1973 by 11% (the price of gold rose from $38.00 to $42.22 per ounce), the Smithsonian agreement fell apart and other currencies were left to float against the dollar. Bank of Japan absorbed a few billion dollars in one week, but eventually quit.